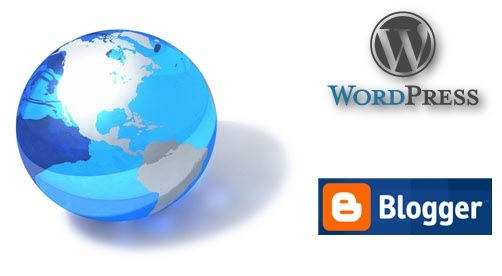 There are free blogging services available like Blogger and WordPress.com but many of us start a blog with our own domain and web hosting account. Once we decide that our blog needs a specific domain name which will help you in market that blog and then you need the best web hosting account to store the data (huge data) of your blog then too many questions arises in our mind. For example, What should be the bandwidth? or How much space do I need? or Will I be able to control and manage my web hosting account? Here are the answers for those many questions. If you are planning for a long term blogging and or blogging as career then go for own domain name and one of the best Web Hosting account. If you own a web hosting account on recognised service provider then it will not be very difficult to manage that on your own. Most important thing in having a web hosting account is the reliability and feedback about the web hosting service provider. There are lot many web hosting companies and some of them provide very cheap offers for the same but always cross check their expertise by asking in a forum or by exploring different blogs and experts opinion. Below are some of the points which you should look into a web hosting service provider’s offers and believe me these points will really help you on a short as well as long term. 1. Reliable Web Hosting Company: Since you are going to host your data on a server and you are planning for a long term blogging or other activity on Internet, then your blog hosting service provider should also stay for those days. One of the criterion for selecting a web hosting company for blogging and website is that should be reliable and should stay for a long time. Reliability makes a web hosting company the best one in industry. 2. Unlimited Data Hosting: If you are planning for a professional career or may be you are targeting for tons of articles and images on your blog then unlimited data hosting is the only option you have. Unlimited data hosting is very cheap now a days, most of the companies are providing that for $6 or $7 per month. Go for that for future expansion. 3. Already Hosted Domains: Checkout already hosted domain on the server of web hosting company. Server should not have any pornographic sites or casino sites because in most of the cases you get shared IP address which means you are using the same server which is used by other. It is called IP neighbouring. If Google or other search engine or China like country will block the IP address of that pornographic site then your website will also get blocked by them because of shared IP. Go for “Internet Techies” recommended web hosting companies and you will never find these issues with them. 4. Bandwidth and Analysers: For Probloggers, Bandwidth should be unlimited and there should be an analyser available on the control panel to check how the data is getting delivered on Internet. 5. Simple Script For Easy Install: Very handy tool for platform and software installation. If you need to install wordpress on your web hosting server, you will have to manually download the wordpress folder and then go for the manual installation. But if your service provider is having “Simple Scripts” then that will be done on single click. You can install “Forum”, WordPress, Moodle, Live Chat, Shopping Cart and lot many other things. 6. Data Backup Facility: Back up is very important because if someday you plan to install a plug-in an unfortunately the database get corrupt then you will find yourself in a big mess. Go ahead and check how the back up facility works for service provider. 7. Software Availability: All software required for your website should be available on the server. Even languages are very important. For example, there should be PHP, MySQL and other as per your need. 8. Help and Support: Very important thing for long run. Sometimes you need to get some help related to billing, installation and migration, in that case proper help forum and live chat facility should be there. 9. Feedback and Review: Collect feedback regarding the web hosting company from different bloggers, Forum, Websites and of course your friends. Then only decide for a web hosting account. 10. Price (Hidden Cost) : Price should be competitive with others. If it is very low then go for the point 9 mentioned above. Most of the web hosting companies are offering $6.95 or $5.95 for per month basis. If you will go for 2 year or more then charges will reduce to $4 per month. Try to know if any hidden cost is there for your data privacy or domain registration. You will get a free domain registration for signing up for the first time on most of the web hosting companies. Internet Techies recommended web hosting services as listed below. You can opt any one of them without any hesitation in your mind. You will not face any difficulty related to web hosting and service. Some of the best blogs are hosted on Dreamhost. For example, Labnol (Amit Agarwal) is using a dedicated server from Dreamhost only. Charges for web hosting on Dreamhost is bit higher but for “Internet Techies” readers, as we have provided 60% discount that’s why they are not higher for them now. You can use the coupon code while signing up for an account over there and get the discount from them. They are very simple but powerful web hosting service provider. This is my personal experience as well because “Internet Techies” is hosted on Hostmonster only. Their services and support is one of the best in the industry and they are growing day by day by providing users easy to use environment. Update – Internet Techies is now hosted on KnownHost VPS. Well known web hosting company with lot many blogs and other sites hosted on their server. Services by Bluehost is really cool and even the prices are also very much competitive. These web hosting service providers are well known for their service since a long time and they are one of the best service providers in United States. You will find each and everything you need for a better blog hosting and they are very much reliable. You will never face a challenge of data loss on their servers. Simple script is also available thru which you can install “Wordpress”, “BBPress”, Typepad or other platforms with a single click. Go ahead with the recommendation from our side and enjoy blogging as your career or hobby.